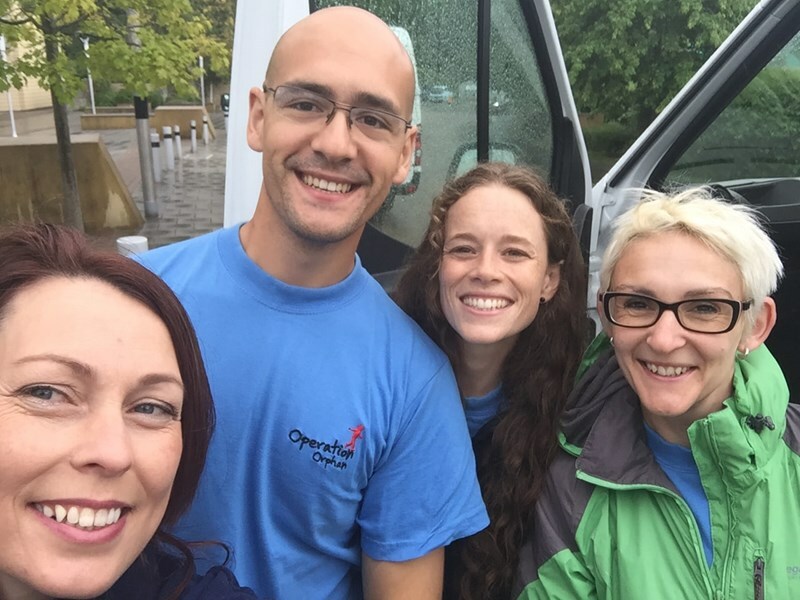 Our amazing ambassadors spread the word about the work of Operation Orphan where they live. These are people who believe in what we do and want to do all they can to support us and there are so many ways! If you are think you could be an OO Ambassador then all we ask is that you talk about us to the people you already know; you might meet other parents at the school gate every day, maybe you are part of a business networking group, maybe you are just VERY busy on social media and have thousands of friends or followers. Some ambassadors organise coat collection in multiple venues, or among multiple groups. Some go into schools to deliver assemblies to children of all ages, teaching the next generation about how they can make a difference in the lives of the less fortunate. Being a national (and in fact international) charity, sometimes people get in touch with us and we are able to send one of our ambassadors to meet them. If you think you'd like to be an ambassador, or maybe you feel you are already doing this, please get in touch as we'd love to supply you with the resources you need to keep reaching out and expanding the Operation Orphan family. Check out our current ambassadors on our Meet the Team page.